Balera Mid-Rise Metallic Dance Leggings. These Premium Metallic nylon/spandex full-length performance leggings have a mid-rise and an elastic waistband for a comfortable, secure fit. Made in USA. Available in several colors in Child and Adult sizes. Balera Camisole Bra Top. A camisole bra top with adjustable straps and a 1" elastic hem for support. Full front liner. Imported. Available in Child and Adult Sizes in several colors. Balera Classic Racerback Bra Top. This racerback bra top is constructed of 4-way stretch matte nylon for comfort and ease of movement. Provides maximum support for high-impact routines. Available in several colors in child and adult sizes. Balera Cross Neck Sequin Dance Top. This stunning Sequin Performance tank top features Premium Metallic crisscross straps in front and back. Fully lined. Adult sizes also have a shelf bra for added support. Available in Child and Adult Sizes in several colors. Balera Full Length Black Leggings. These classic full-length leggings are constructed from 4-way stretch matte nylon/spandex for comfort and ease of movement and feature an elastic waistband for a secure fit. Made in USA. Available in Child and Adult sizes. Balera High Waist Sequin Dance Shorts. These brilliant Sequin Performance shorts feature a flattering, high waist Premium Metallic band and leg openings. All sizes are fully lined for comfort. Made in USA. Available in a range of vibrant colors in Child and Adult sizes. Balera Long Sleeve Sequin Dance Top. This Sequin Performance crop top features a mock neck collar with snaps, long sleeves and a keyhole back cutout. A Premium Metallic banded hem ensures a secure, stay-put fit. All sizes are fully lined. Available in Child and Adult Sizes in several colors. Balera Metallic Racerback Bra Top. This Premium Metallic nylon/spandex bra top features a camisole neckline with racerback detail for a dramatic stage presence. Available in Child and Adult Sizes in several colors. Balera Mid-Rise Metallic Full Length Leggings. These Premium Metallic nylon/spandex full-length performance leggings have a mid-rise and an elastic waistband for a comfortable, secure fit. Made in USA. Available in several colors in Child and Adult sizes. Balera Natural Rise Metallic Dance Leggings. Premium Metallic nylon/spandex full-length leggings in an updated fit that features a wide waistband that hits at the natural waist. Available in several colors in Child and Adult sizes. Balera Sequin & Metallic Halter Dance Top. This Sequin Performance tank top features a Premium Metallic mock neck collar with a snap closure and additional back straps. All sizes are fully lined for comfort. Made in USA. Available in Child and Adult Sizes in several colors. Balera Sequin Dance Shorts. These Sequin Performance shorts feature a Premium Metallic waistband and matching trim. Available in several colors. Balera Sequin Performance Bra Top. This Sequin Performance bra top features a classic, pinch-front neckline and color-match, Premium Metallic straps and trim. Available in Child and Adult Sizes in several colors. Balera Mid-Rise Metallic Dance Leggings. These Premium Metallic nylon/spandex full-length performance leggings have a mid-rise and an elastic waistband for a comfortable, secure fit. Made in USA. Available in several colors in Child and Adult sizes. Balera Ultra Sparkle Dance Crop Top. This Ultra Sparkle crop top features a mock neck and keyhole opening in back with snaps at the neck. All sizes are fully lined. Made in USA. Available in Child and Adult Sizes in several colors. Balera Ultra Sparkle Dance Shorts. Dazzling Ultra Sparkle sequin spandex dance shorts featuring a Premium Metallic waistband and matching, banded leg openings. Fully lined. Available in a range of vibrant colors in Child and Adult sizes. Balera Ultra Sparkle Tank Dance Top. This classic, Ultra Sparkle tank top features a scoop neckline and wide, bra-friendly straps. All sizes are fully lined; adult sizes have shelf bra for added support. Available in Child and Adult Sizes in several colors. The ES Performance Laia Tank Top offers a versatile design which allows it to be used for yoga, running or any other sport activity. Available in two colors in Adult XSmall to Adult XLarge. Balera Cotton Racerback Sports Bra Top. This racerback bra top has a scoop neckline, wide, supportive straps and a comfortable 1 inch elastic hem. In soft, stretch cotton that shapes to and moves with the body. Full front liner provides... Balera Longer-Length Dance & Cheer Shorts. Longer-length short with wider 1 1/2" waistband. Imported. Available in several colors. Balera Metallic Booty Dance & Cheer Shorts. Premium Metallic nylon/spandex booty shorts for dance, cheer or gymnastics. Child and adult sizes have a 1 1/2" inch inseam. Available in a range of vibrant colors. Balera Mid-Length Dance & Cheer Shorts. Mid-length shorts with a comfortable 1" elastic waist. Made in USA. Available in a range of vibrant colors. bZipt Zippered Fleece Leggings. A revolutionary way to put on and take off leggings without removing shoes, boots, or skates! Great for Gymnastics, Dance and Skating. Bzipt Cotton/Spandex Zip on Zip off Leggings. A revolutionary way to put on and take off leggings without removing shoes, boots, or skates! Great for Dance, Gymnastics and Skating. Available in several colors. Clearance! Mondor 7815 Velvet Girls Dance/Gymnastics Shorts. Black velvet gymnastic and dance shorts. Goes well with any leotard! Not quite sure what to buy for your special skater? Try a gift certificate! Gift certificates can be used to purchase any item. Mondor 11608 3.5" Inseam Dance/Cheer Shorts. Ladies matte cotton/lycra hot short. Available in black only. 3 1/2" inseam. Mondor 11649 5" Inseam Dance/Cheer Shorts. Ladies matte cotton/lycra hot short. Available in black only. 5" inseam. The Mondor 3519 Racerback Sports Bra Top has a fully lined front and has a very supportive elastic band. Excellent sports bra for any sport, cheer, dance, gymnastics or skating. Available in Child and Adult Sizes in several colors. Mondor 3819 1 3/4" Inseam Supplex Shorts. Ladies matte supplex hot short. Available in black only. 1 3/4" inseam. The original Nfinity spandex short. Comfortable, colorful, perfect for every practice. Available in several colors. Pair with Nfinity Sports Bra to complete the look. The Nfinity Flex Bra has got you covered with a compression fit that offers support, making it perfect for any activity and motion. Available in multiple colors to show your team spirit. Nfinity Flex Shorts offer medium support and enhanced comfort for everyday training. Available in multiple colors to show your team spirit. Pair with Nfinity Flex bra or Nfinity Flex Tank to complete the look. Nfinity Practice Cheer Shorts are made with water wicking material & breathable jersey knit side panels to keep you cool when you're working hard. The Nfinity Sports Bra. The super soft, and highly requested, sports bra features a flattering and lightweight design with a criss cross back for the toughest movements. The Nfinity Flex Bra has got you covered with a compression fit that offers support, making it perfect for any activity and motion. Available in multiple colors to show your team spirit. 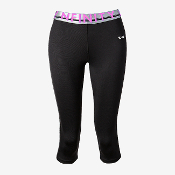 Nfinity Youth Flex Capri pants offer medium support and enhanced comfort for everyday training. Available in multiple colors to show your team spirit. Pair with Nfinity Flex bra or Nfinity Flex Tank to complete the look. The Nfinity Youth Flex Jacket is a lightweight jacket designed to keep you comfortable through practice and is backed by our moisture wicking fabric to keep you dry during any activity. Available in several colors to show your team spirit. Pair with Nfinity Flex Shorts to complete the look. Nfinity Youth Flex Shorts offer medium support and enhanced comfort for everyday training. Available in multiple colors to show your team spirit. Pair with Nfinity Flex bra or Nfinity Flex Tank to complete the look. Mondor 11609 1.5" Inseam Dance/Cheer Shorts. Ladies matte cotton/lycra hot short. Available in black only. 1.5 inch inseam.